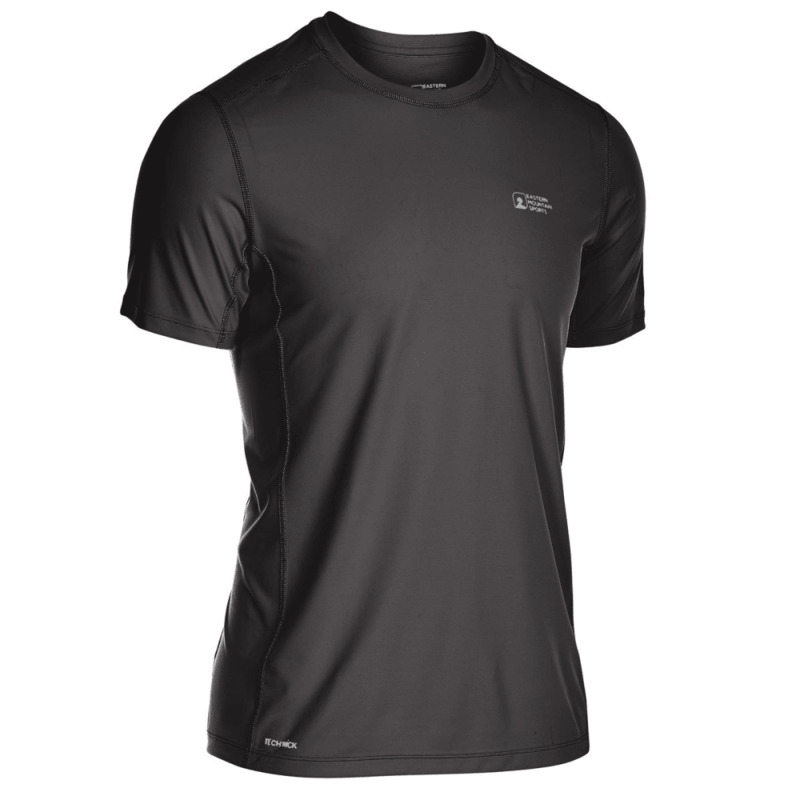 As you eye those mountain tops and lace up your shoes to bounce and glide along the rough terrain, this shirt’s construction is ready to make your next trail running expedition go a bit smoother. 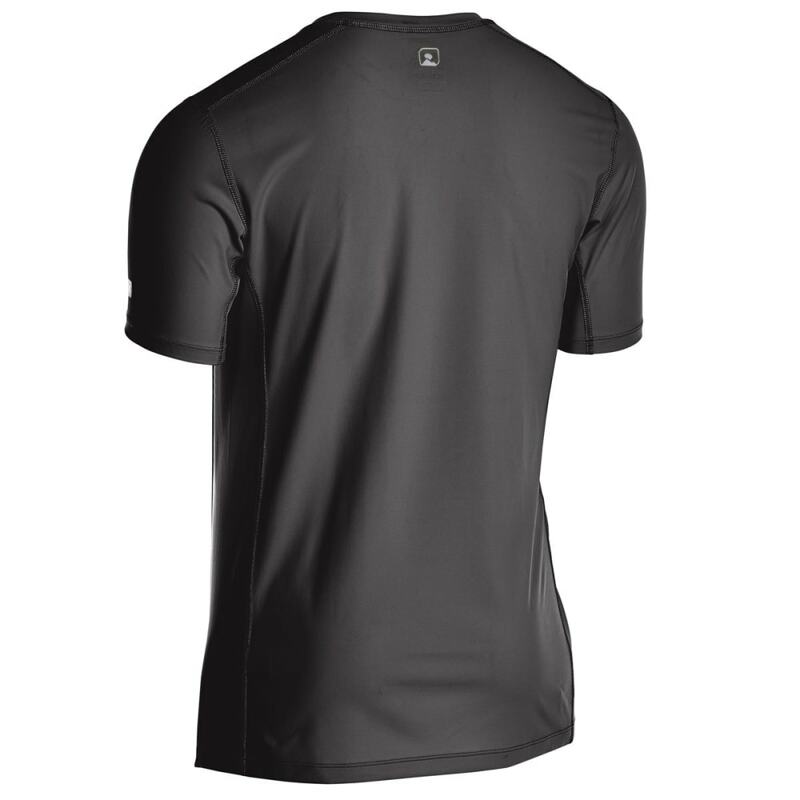 For one, its UPF properties shield your skin from the sun’s harmful rays, and so you stay cool, moisture-wicking Techwick® and antimicrobial treatments help you remain dry and fresh, even through difficult patches. Then, specific to your mission, its stretchy, snag-resistant material is built for a greater degree of movement and won’t look worn out once you’ve returned to the parking lot.